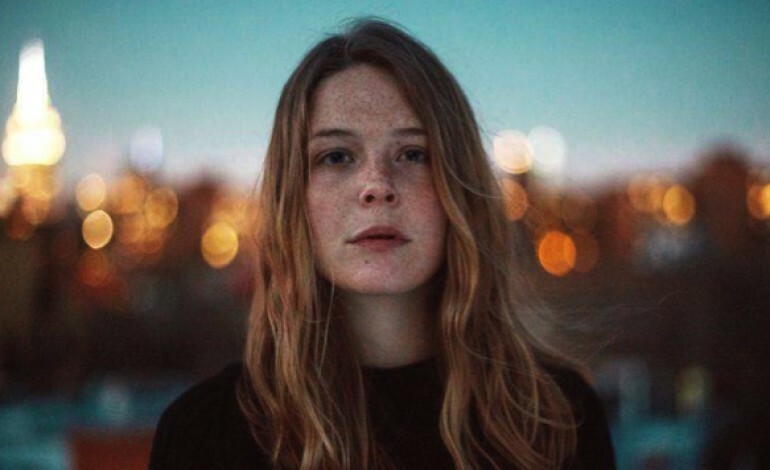 Yesterday, the artist Maggie Rogers gives us another preview off her debut EP, Now That The Light Is Fading, by releasing the track “On + Off.” The song is truly exhilarating that is layered together so well. The track is written by Rogers and co-produced by Rogers, Nick Das, and Doug Schadt. “On + Off” premiered on BBC Radio 1 labeled as the Hottest Record in the World. Her voice mesmerizes you forcing you to focus solely on the single with such free-spirited energy. On February 17, 2017 Rogers will release her debut EP Now That The Light Is Fading via Capitol Records. So far the album features a few original songs written, produced, and performed by the artist including the singles “Alaska” and “Dog Years” that have had more than 27 million streams combined across all platforms. Rogers also has a headlining tour starting this Spring. Such a talented artist that the fans love so much that her headlining tours for the year are majority sold out. Rogers will be performing her first television debut on The Tonight Show Starring Jimmy Fallon on February 15th.